Studio apartments are no longer tiny cramped spaces with no light and fold down beds. They can, in fact, be some of the most stylish and modern interiors available in cities. Contemporary studio apartments often seem more like hotel suites than homes, and clever use of space, excellent design and high-end specifications can make these some of the most desirable rental properties out there. Studio apartments are perfect for busy young professionals, and if you are looking for investment opportunities, there is a large demand for rental studios out there. 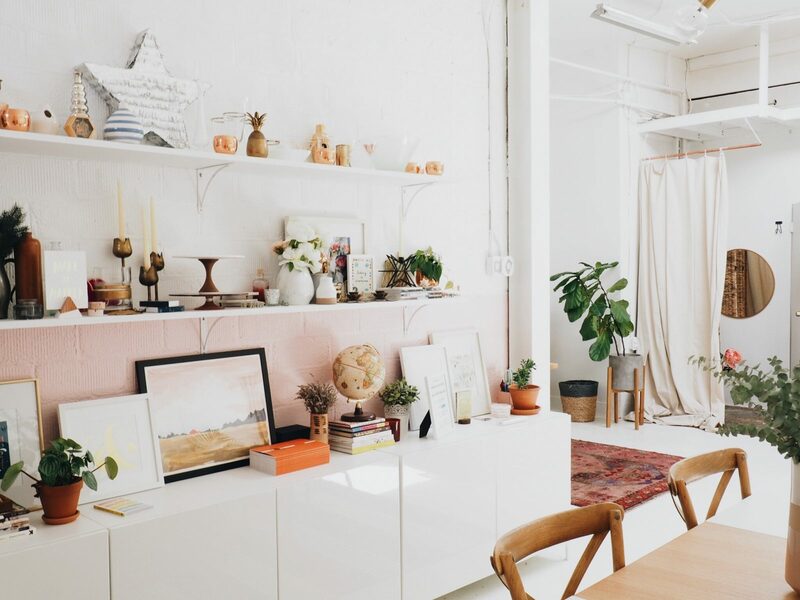 To appeal to new tenants or to transform your own studio, these ideas are easy ways to improve your space. There are a number of tricks that you can use to make your studio apartment seem spacious and bright. Mirrors are a great way to optimise space and make your apartment seem larger than it is. A large feature mirror can really boost this effect and if you can’t hang it on the wall due to landlord restrictions, these look great leaned against the wall too. When you are looking for a studio apartment, try find one that has large windows and is filled with natural light. If this isn’t possible use a variety of different light sources, like standing lamps, fairy lights and table lamps to brighten up the space. For extra impact, choose furniture with mirrored tops or lamps with mosaic mirror bases. Room dividers are great for adding extra privacy to a studio and there are a number of ways you can do this. Vintage screens and fold out room dividers are great solutions which can add some character to your apartment too. Or if you’d prefer a less solid boundary, you can use bookshelves or a clothes rail, which can also give you extra storage. You can also use color to designate various spaces in the apartment, for example, you could have one color bedding, bedroom lamps and bed cushions and use a contrasting color in the living area. 3. Choose a New Build Property. New developments are increasingly incorporating studios into their plans, as this type of compact living is becoming more popular. High-end, new build studios are often professionally designed and have a modern interior design scheme that is perfect for a super chic apartment. Often with integrated top of the line appliances and designer kitchens and bathrooms, you can feel like you’re staying in a luxury hotel. For property investors, studios are a great option, with wide appeal and high returns. 4. Be Smart with Storage. Storing all of your belongings tidily is one of the hardest parts of living in a small space however there are a number of ways you can be clever about storage and utilize unused spaces. Vertical storage is a great way of using the height in your property to store things, from high shelves to pegs on the wall for coats. You can also find clever pieces of furniture with inbuilt storage, like TV stands, ottomans and beds which contain inbuilt storage underneath the mattress. 5. Look at Examples You Love for Inspiration. Studio apartments present an exciting challenge for interior designers, and there are some amazing examples of innovative studio design on the internet you can look to for inspiration. Many chic studios use white, greys and golds to create a light and bright space. Quirky accents like vintage mirrors, fluffy rugs and statement lampshades are great for adding personality and individuality.